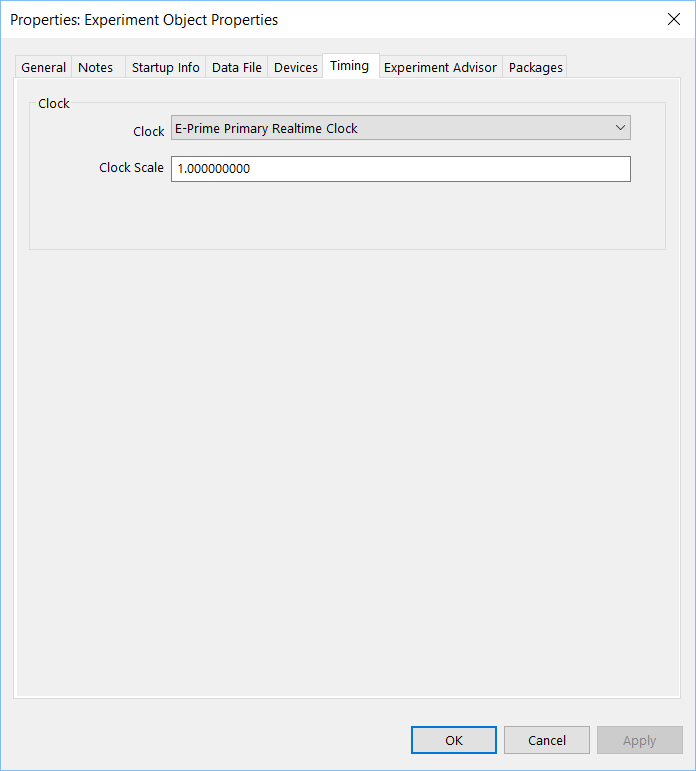 When the E-Prime Realtime Clock is selected, then no additional settings are required unless flagged by Experiment Advisor. When the SNTP Realtime Clock is selected, then additional configuration settings are required. A SNTPClockExtension.ini file must reside in the same location as the SNTPClockExtension (defaults to C:\Program Files (x86)\E-Prime 3.0\Program). It is recommended to place the SNTPClockExtension.ini in the My Experiments folder for easier editing for regular users (the admin security level is needed to edit files located in Program Files). LocalOnly 0/1 - Used to prohibit settings to be performed in My Experiments.